Dr Gampalahalli Ramakrishna is one of the leading Marxist ideologues of our country. Popularly known as Dr GR, he has been a guiding spirit to many pro-people movements in Karnataka for many decades. Hailed as a pro-people scholar, he has been espousing many causes in the overall interests of our polity especially the marginalized sections. Dr GR has been a keen student of Indian as well as western and eastern philosophies. He was a long time associate of Dr Debiprasad Chattopadhyaya, a Marxist scholar and philosopher of repute, who made seminal contributions to the alternate discourse on Indian Philosophy among others. Born to Sri G Subrahmanyam and Smt Narasamma on June 17, 1939, in Halenahalli, a small village about 32 miles from Tumkur in Karnataka, GR had his basic education in Kempasagara, Magadi Taluk, about 35 miles from Bangalore. For his intermediate education, he moved over to Tumkur. Later, he joined the Sanskrit B. A. Honours Course in Maharaja College, Mysore in June 1955. He did his MA (1959) and PhD (1965) at Mysore University. The thesis for his PhD was ‘Origin & Growth of the Concept of Rita in Vedic Literature’. His guide was Prof. S. Ramachandra Rao. GR earned his Master Degree in English from Pune University (1965) and, again, from Wales University (1968). After a short stint at Accounts General’s Office (1959), GR turned his attention to academic research. He was a UGC Research Fellow at Mysore University (1960-1962), Research Assistant at Osmania University (May-October 1962), and Research Assistant at Kaivalyadhama Research Institute, Lonawala (1962-1965). From 1965 to 1967, Dr GR worked as Assistant Professor at Dr Ambedkar College, Mahad. From 1967 to 1993 he was Professor of English at National College, Basavangudi, Bangalore. He was a Visiting Professor at Kannada University, Hampi from 1994 to 1996, during which period he wrote the book ‘The Path of Indian Science’. Dr GR has been associated with numerous associations. 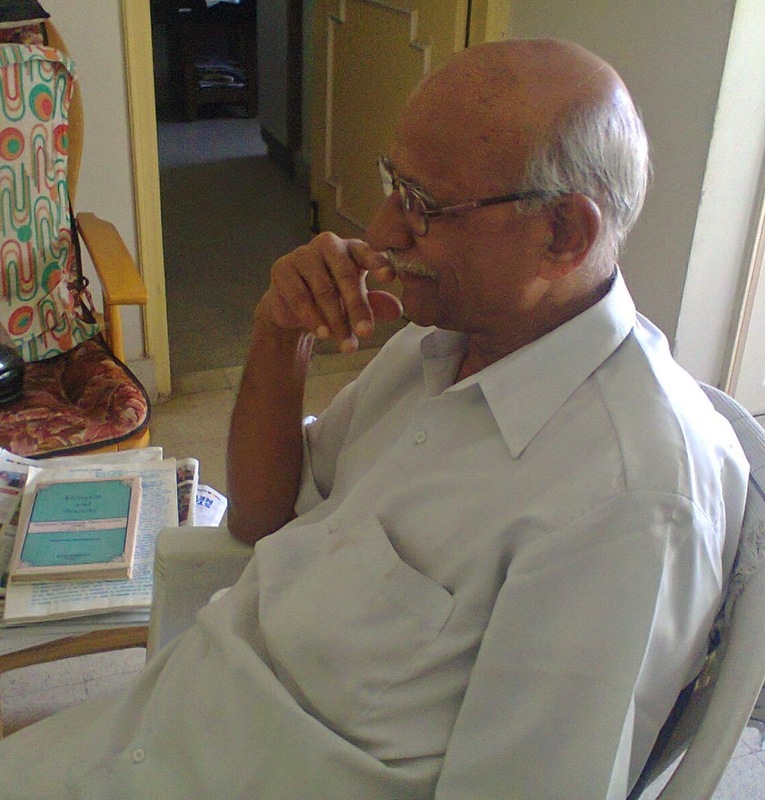 He served as the Secretary and later as President of the Bangalore University College Teachers’ Association for many years in the 1970s and 1980s. He was the President and General Secretary of the Federation of University & College Teachers’ Association of Karnataka. He also served as Vice-President, Secretary and Treasurer of the All India Federation of University & College Teachers’ Organization for a number of years. He was associated with Indo-Soviet Cultural Society (ISCUS), Karnataka State, of which he was the General Secretary for many years. He was associated with the Karnataka State Peace & Solidarity Organization too. A widely traveled person, Dr GR was in United Kingdom and the Republic of Ireland (1967-1968), visited Afghanistan (1971), Soviet Union (1971,1982,1985), Tibet (1984), Nepal (1987), United States of America (1995 & 2011), Cuba and Peru (2011), China (2012) and Europe (2013). Dr GR has been an invitee to a number of international seminars and conferences, presenting papers on a wide variety of subjects. In 1985 at Friendship House in Moscow, he spoke on the topic ‘Victory against Fascism’. In 1995, at Sky Foundation, Philadelphia, USA, he gave a talk on an entirely different subject - ‘Yoga and Mind’. In 2011, he gave lecture on ‘Consciousness as reflected in English Poetry‘. Over the years, Dr GR has been conferred a number of awards. He was a recipient of Karnataka Literary Academy Award for three years for his literary contributions in Kannda- Munnota (1980), Aayatana (1995), Bharatheeya Vignaanadha Haadhi (2002). He was presented Manu Award for Education in 1998 and Kuvempu Bhasha Bharathi Award for Translations in 2010. In 2002, the Government of Karnataka wanted to confer Rajyotsva Award to Dr GR, but he declined accepting it. As an independent publisher, Dr GR established Ma–Le Prakashana in 1980 to bring out progressive literature in Kannda and English. 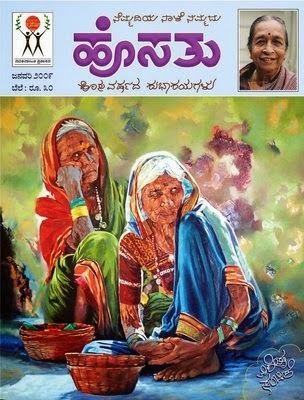 For 25 years, he was the publisher of ‘Achala‘, a women’s monthly magazine in Kannada of Jagruthi Mahila Adhyayana Kendra. 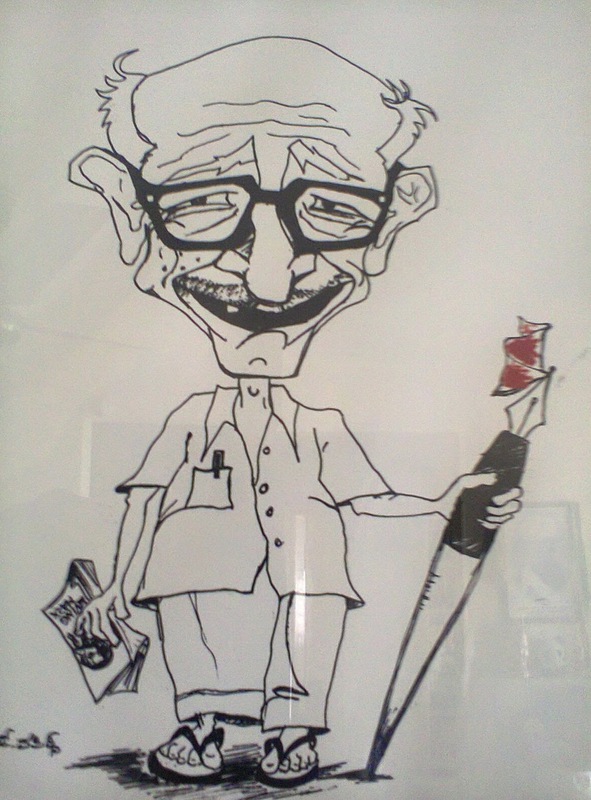 Dr.GR has been a prolific writer in Kannada as well as in English. In Kannda, his works include Munnota (‘Vision‘ - 1980), Vaichaarika Jaagruthi (‘Awareness about Rationalism’ – 1992), Deviprasad and Lokyatha Darshana (1994), Bharatheeya Vignaadandha Haadhi (‘The Path of Indian Science – 1997), Fredrich Engels (2003), Yogapravesha (‘An introduction to Yoga’ – 2003), Yugadarivu (2004), Nudibimba (‘The Wordly Image’ – 2005). The biographies he wrote on revolutionaries such as Yugapurusha Lenin –1979), Bhagat Singh (1984), Bhupesh Gupta (1986), and Che Guevara (1994) have been very popular, especially his biography on Bhagat Singh, which has been reprinted 13 times so far. Some of his booklets in Kannda include The Strange Culture of M.S. Golvalkar (1971), The features of the Anti-Fascist Movement (1975), Friendship – Culture (1978), RSS – A Poisonous Tree (1979), and On Hindutva (1993). Dr GR was the editor of a series of books (“Golden Jubilee Series) published in 1998 commemorating the Golden Jubilee of India’s independence. The books published in this series are The Heights of the Women’s Movement (N Gayathri), Media and Freedom (G N Mohan), Education at the end of the century (KK Thekedath), Social Movements (R K Manipal), India and the International Situation (C R Krishna Rao), An alternate path to India (B V Kakkilaya), Footsteps of the Indian Freedom Struggle (B V Kakkilaya), Peoples’ Health (C R Chandrashekar), Agriculture in Post-independent India (Y V Krishna Rao), Economy – The Challenges (Kamalanayan Kaabra), Fifty Years of Independence (Vyasaraya Ballal), Science and Technology ( J R Lakshman Rao & M A Sethurao), Constitution and Law ( Krishnamurthy Sirsi), Studies in History – Past and Present (Dr H S Gopala Rao). Some of Dr GR’s translations include Spider and the Fly by Wilhelm Liebknecht (1973), The Role of Labour in the transition from Ape to Man by Engels (1978), Wage, Labour and Capital by Karl Marx (1979) and Lokayata (2012). Dr GR’s books in English are The Strange Culture of M.S. Golvalkar (1971), The Living Marx (1983), Philosophy in China (1990, translated into Hindi in1990), The Gorbachev Phenomenon (1991). 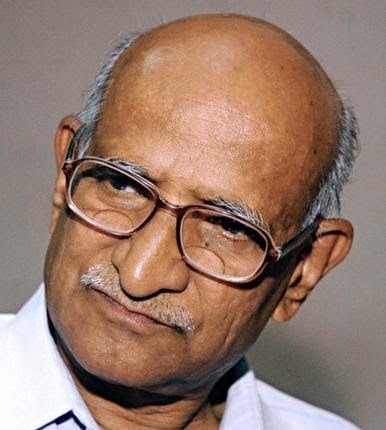 The books he edited include An Encyclopedia of South Indian Culture (with Debiprasad Chattopadhyaya & N.Gayathri – 1983), Studies in Indian Culture (A felicitation volume to Prof S Ramachandra Rao – 1986), Towards a Redefinition of the Educational Policy (1992), Vision & Wisdom (Letters of Kuvalayananda – 1995), Some thoughts on Marxism (with Dr Sanjay Biswas – 2002), Musings in Ideology (with Late Dr Sanjay Biswas – 2002). An avid trekking enthusiast that Dr GR is, he had been to Kailas Manas Sarovar (1985), Mount Everest Base Camp (1987), Chandarakani Pass in Himachal Pradesh (1998), Yamunotri, Gangotri & Gomukh (2002). 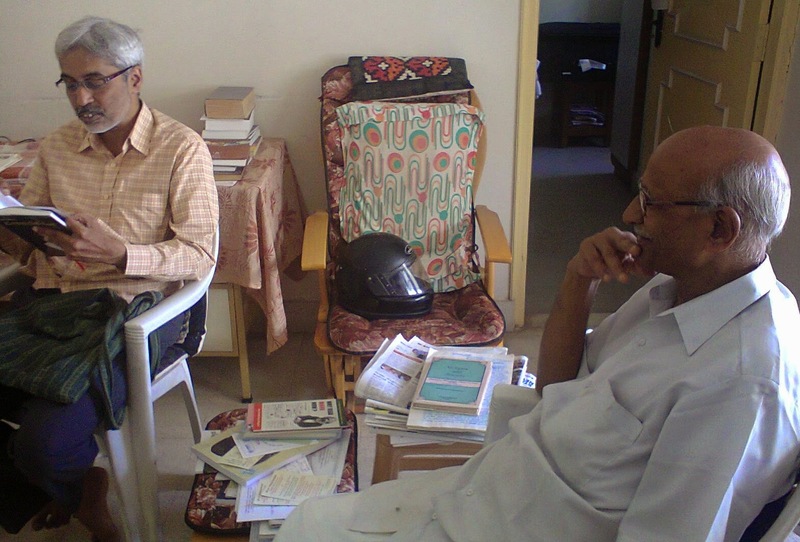 Dr GR has been the Chief Editor of Hosathu, a progressive monthly magazine published in Kannada since 1999. He was also in the Editorial Board of the newsletter of Samudaaya, a reputed cultural troupe of Karnataka, known for its espousal of people’s causes through theatre. Presently, Dr GR is the Chief Editor of the Kannada Version of the series Global Philosophy for Everyman, comprising eight volumes, published first in English by Navakarnataka Publications Pvt. Ltd, Bangalore in December 1993. Dr GR turns 75 today, 17 June 2014. Marxism and humanism, absolutely disgusting philosophies. Why not be nihilist instead? Can Modi be compared to Hitler?